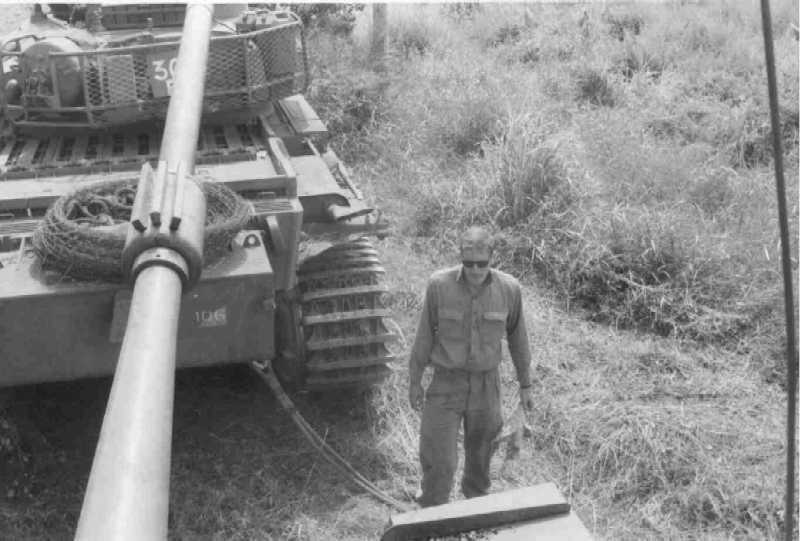 Noel (Jack) Luff who now lives in Canberra was a national serviceman who served with C Squadron, Ist Armoured Regiment in South Vietnam during the period February to December 1968 inclusive. 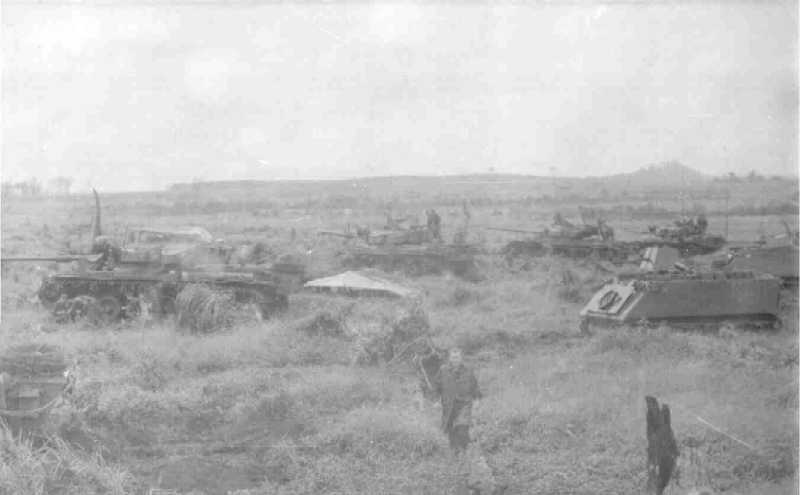 Noel was a gunner in the I Troop troop leader's Centurion tank (Callsign 31). 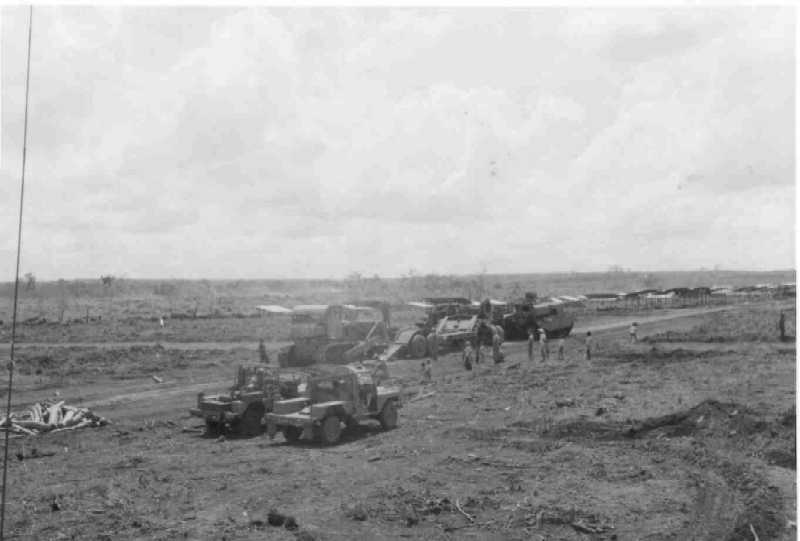 Noel served in numerous operations, including the battles of FSB Coral and Dat Do. Noel has generously allowed Sentinel to display some of his images from that period. Note the small white callsign and the standard fit of ammunition rack and coils of barbed wire. Centurion Bridgelayer ARN 115541 callsign 92A. 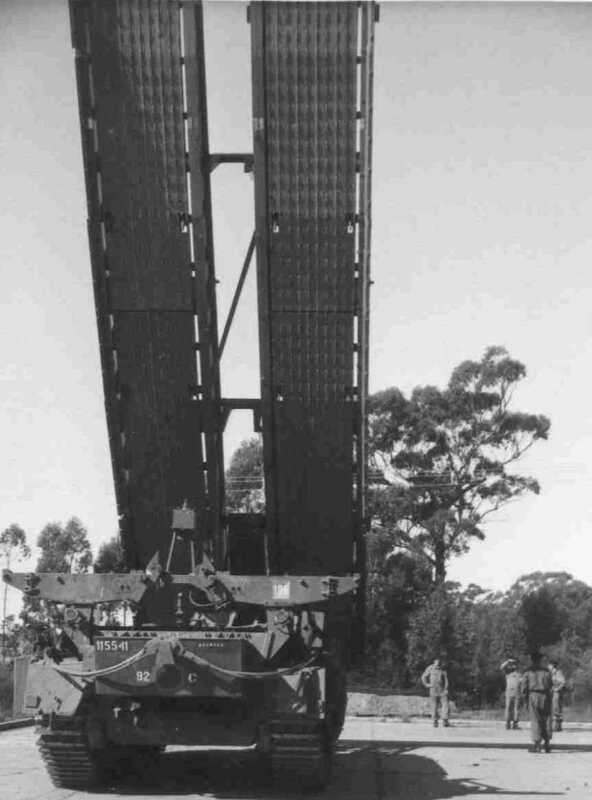 this photo was actually taken in Australia, but a few of these bridge layers served in south Vietnam. 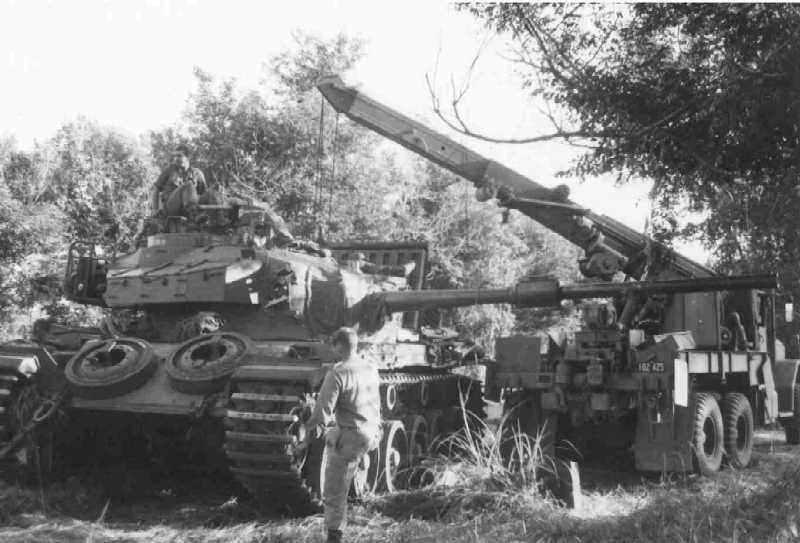 Centurion receiving aid and an engine change. The truck is an Australian M546 5 ton wrecker. Note the centurion has the spare wheels on the glacis plate. 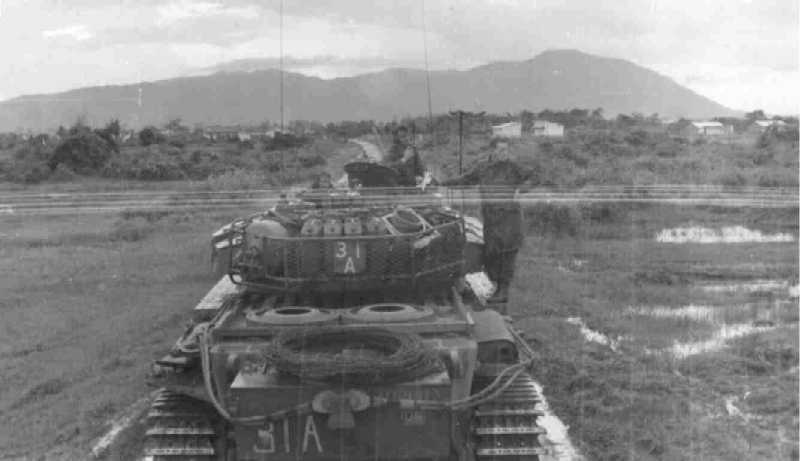 This Centurion has not yet lost its front track guards, signifying it has only been in country for a short time or not yet tracked through the jungle / bamboo. Rear view of a Centurion Callsigns 30B. 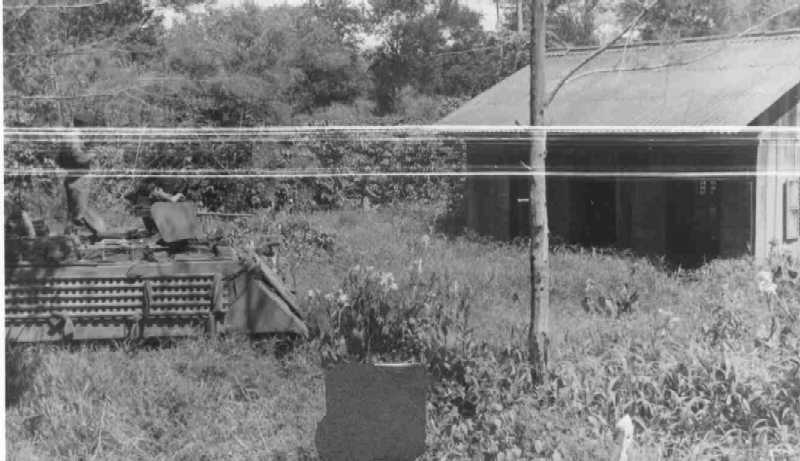 Note the plastic water jerrycans are almost identical to the type still in use today. 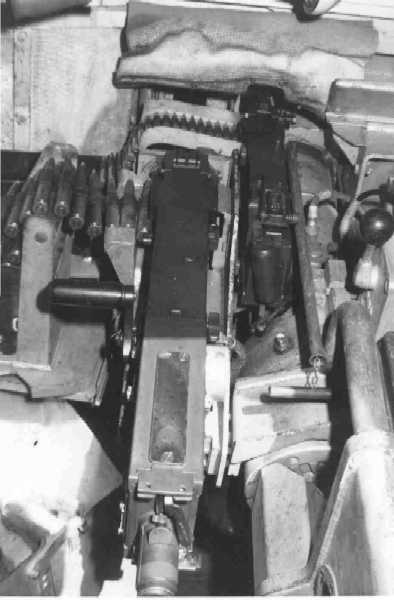 The Type 'B" barrel with its 3 bar counter weights. 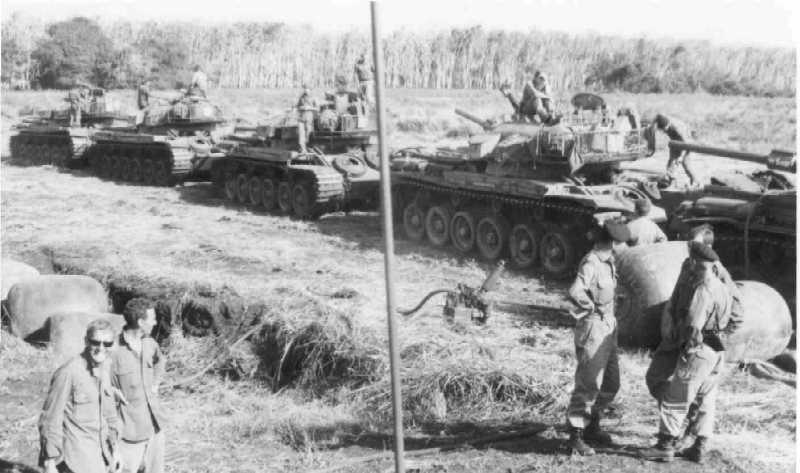 Note the red/yellow armoured corps arm of service with a white 106. 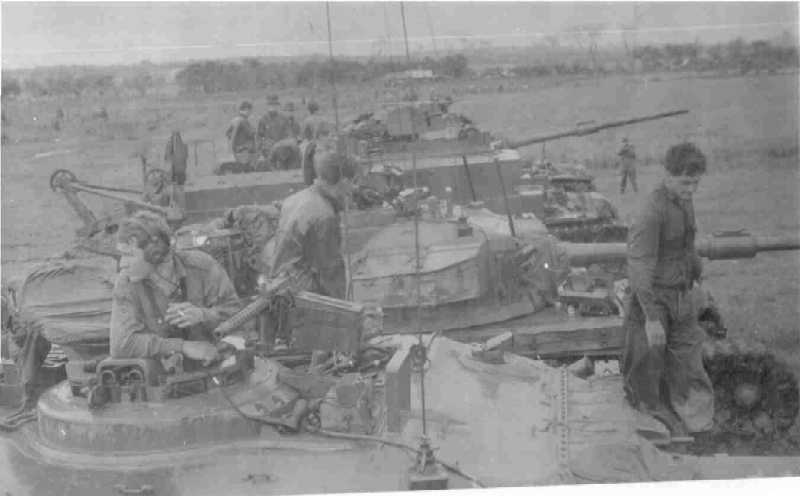 Note the Centurion in the centre has the pipes (black) on the front of the turret onto which a hoochie was attached to provide respite from the rain or hot sun depending on the season. The ARV in the background exhibits the rear side protection panels. 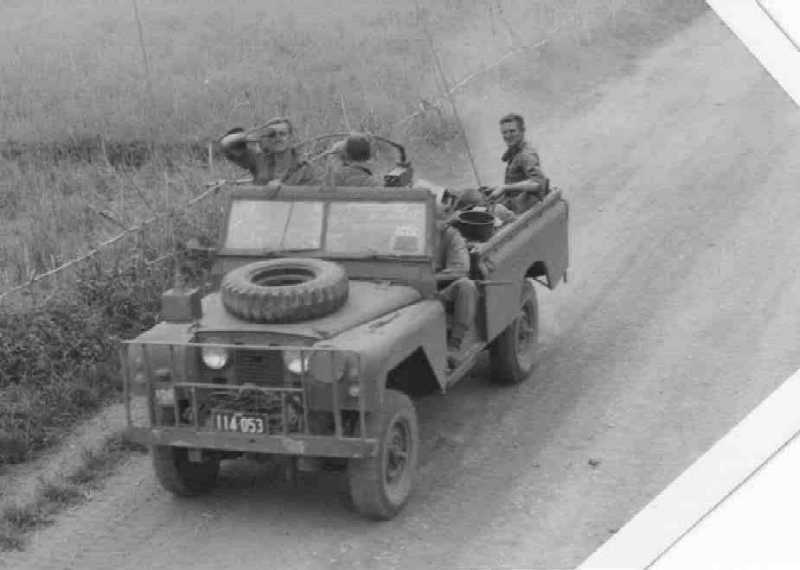 An Australian Army International 6x6 cargo truck. 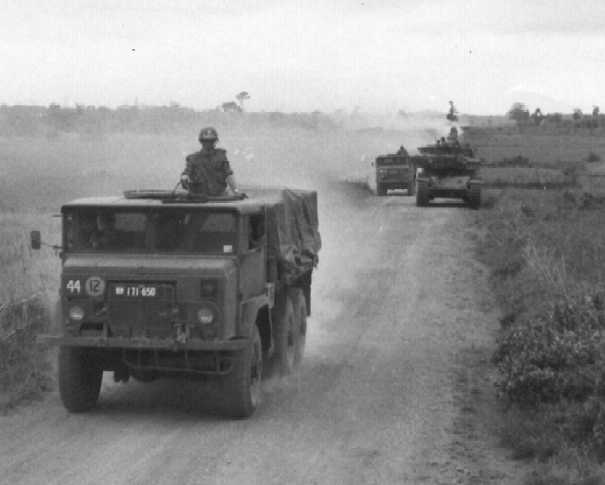 it is interesting to note that this truck has a bridge classification plate (12) which indicates it is almost as heavy as an M113. Land clearing team Land Rovers. These Land Rovers are fitted with Platform bodies used by engineer and RAEME for field servicing. Another Land Rover exhibiting the high cut front wheel arches. this vehicle is fairly typical for a Land Rover Fitter for radio (FFR). The doors and rear canvass roof have been removed. The brush bar was fairly standard at this time. 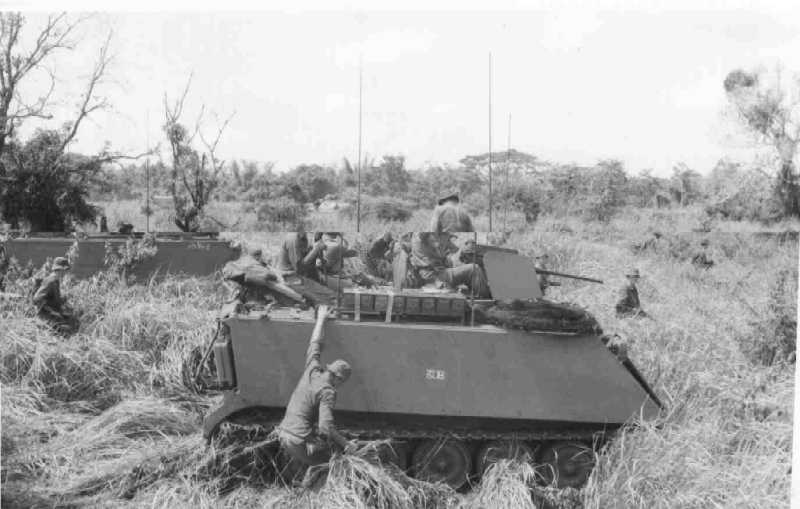 3 Cav used two of these US Army M108 105mm SPG for fire support. 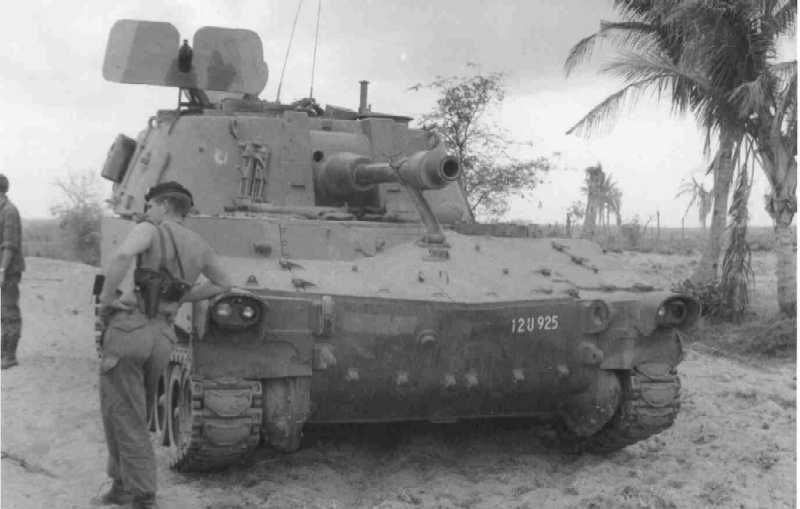 M113A1 in a cordon and search of a village. Preparation for Operation Wilton Operation Wilton. 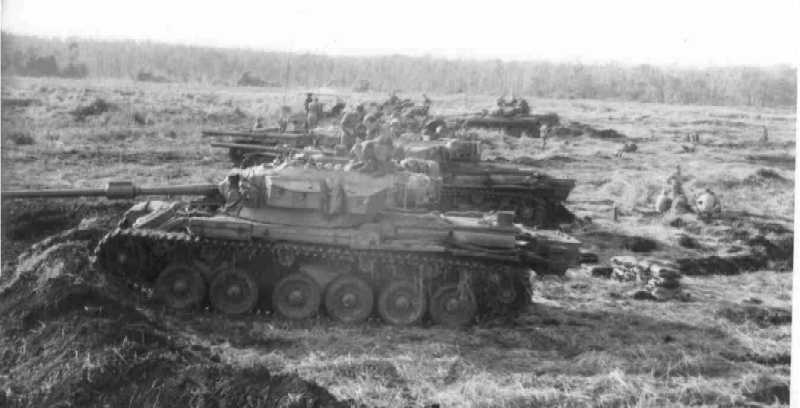 Centurion tanks refueling from fuel bladders. These were often flown in by helicopters. 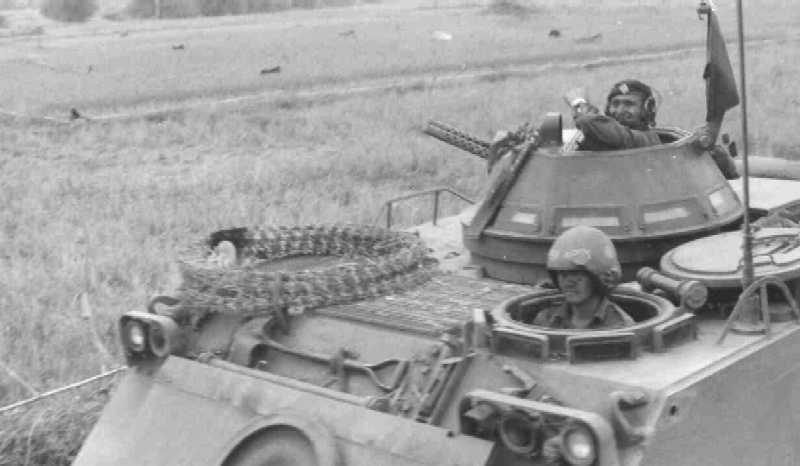 If you are a Vietnam veteran and you would like to share some of your images of armour from the Vietnam War contact us at Sentinel.